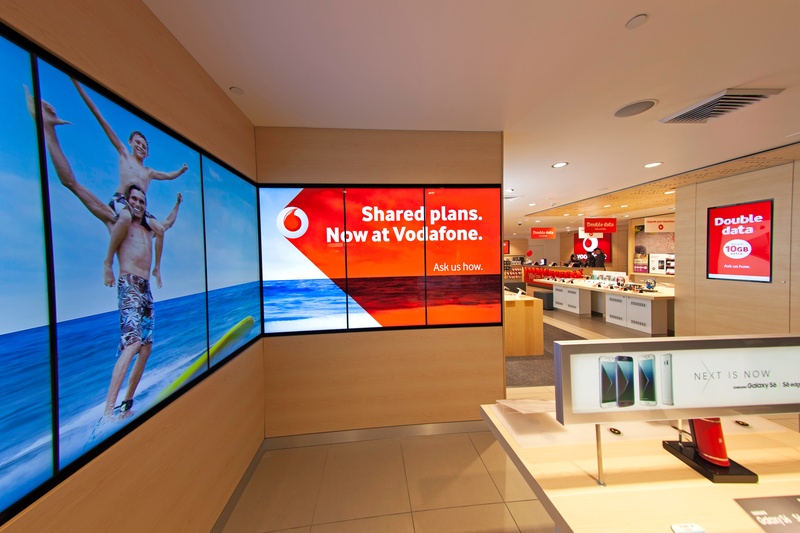 The Fujivision digital signage solution developed exclusively by Fujifilm Australia for mobile network operator Vodafone is completely unique to any other solution worldwide. The cloud-based solution which integrates Samsung commercial large format display (LFD) panels with built-in WiFi (commonly known as System on a Chip or SoC) and is powered by Signagelive (for which Fujifilm Australia is an integrator and preferred reseller) for content distribution was implemented to reduce Vodafone’s dependency on, and the cost of printed point-of-sale material for promotional activities and to move them to digital content delivery in store. Signagelive’s cloud-based technology offers significantly reduced installation, operational and energy costs compared to conventional digital signage solutions. 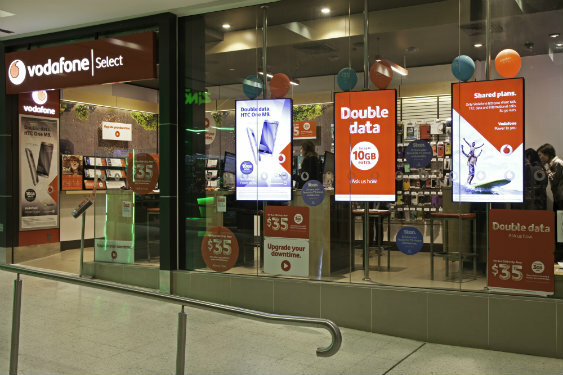 FUJIFILM Australia Pty Ltd, has partnered with Signagelive, specialists in cloud-based digital signage software, to provide a nation-wide digital signage network to Vodafone Hutchison Australia as part of an expensive expansion programme by the MNO to increase its market share. Last month we discussed a few of the best types of content for in-store digital signs – video presentations, calendars, promotionals and more. While all of these options are great for retail outlets, they lack one thing that today's customers want to see – interactivity! In addition to your view-only displays, you'll want to provide interactive signs that allow customers to engage through touch, gesture or both. Interactive displays draw customers in with their entertainment value, and they provide even more opportunities for you to cross-merchandise, up-sell and encourage future business. 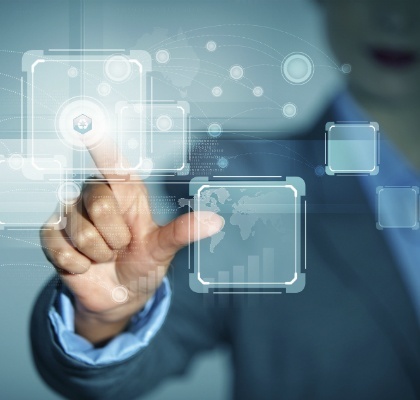 Here are a few of the best types of interactive content you should consider for your business. 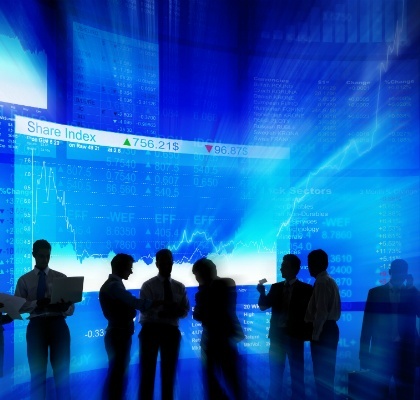 What Types of Content Should I Create for Digital Signage? In-store shopping may still be popular in this digital age, but most of today's customers can't be sold solely with traditional marketing. To tell your brand's story and consistently market your merchandise, you'll need sophisticated digital marketing tools – and digital signage is one of the most effective. As with any other marketing method, however, the quality and relevance of your content will determine your success. To take full advantage of digital signage, you'll need to use many types of content, several of which aren't even possible with static, paper-based signs. 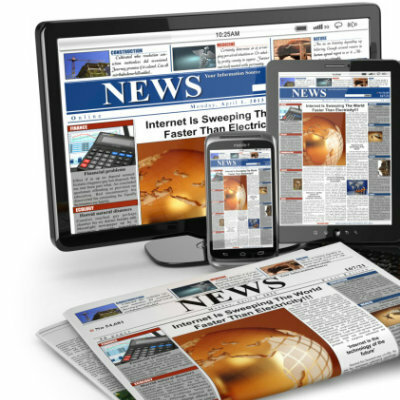 The following are a few of the best types of digital content for your retail outlets. To meet consumers’ digital expectations in store, retailers need to embrace consumers’ desire to connect and engage with brands digitally and across multiple devices—“Retailers need to turn the brick and mortar store into an interactive digital experience and one that seamlessly touches the consumer across channels and devices,” Swantee says. 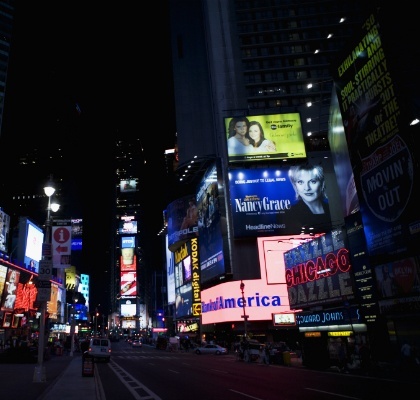 Digital signage is one dynamic tactic to engage customers and meet their needs for connectivity, taking your brand beyond the traditional, physical norms of brick and mortar. Retailers use digital signage displays to showcase products, branded videos and services. Here we share how digital signage can be an effective tool for fulfilling your customers’ digital expectations while promoting your brand and employees in-store. Research shows digital signage has the ability to enhance the customer experience and drive business results: According to studies by Gesturetek, 48 percent of customers reported digital signage is more entertaining than traditional advertising. 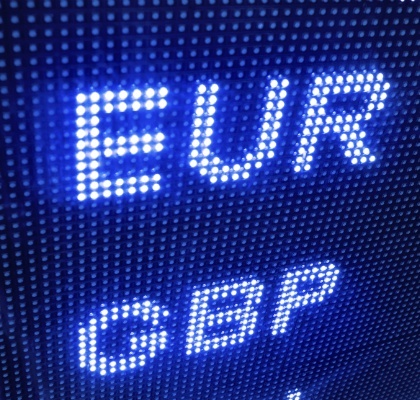 Additionally, digital signage displays have been shown to increase sales volume by 32 percent. However, to get these kinds of results, retailers must use digital signage to create a positive experience for consumers and share messages that resonate with shoppers, all through digital signage content. 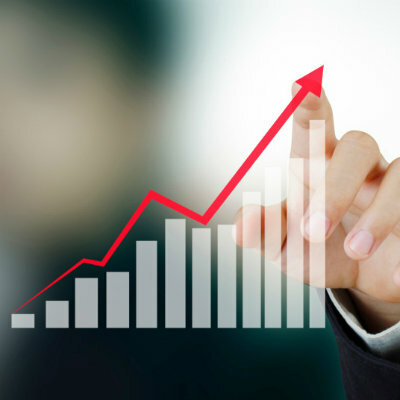 How did you measure the success of your last marketing campaign? Perhaps you surpassed a few of your top-level goals, or you’re simply pleased you were able to launch the campaign without delay. However, you still struggle to showcase your campaign’s success to the leadership team and other departments. According to the BRITE-NYAMA Marketing in Transition Study, 65 percent of respondents said measuring the effectiveness of marketing across different digital media is a “major challenge" for their businesses. This could be attributed to lacking customer data within their organisations to effectively measure marketing return on investment (ROI). Congratulations! You’ve built a successful company that has grown to include multiple independent locations. Or perhaps you’re a franchisee or wholly own one site, or many, within a large network of locations spread across the country, in industries ranging from real estate and retail to healthcare. But how are your company’s multiple sites communicating with one another? How communication occurs between sites, especially when it comes to managing and customising multichannel marketing materials, affects how you communicate with your customer. And, unfortunately, companies with several locations or owners produce communications that are fragmented, especially regarding how materials are created, saved and distributed. If you haven’t thought about optimising your multichannel marketing strategy, you may not be reaching your target customers. Today’s consumer never stays in one place, which is why your marketing campaigns shouldn’t either. With multichannel marketing, companies can communicate with potential customers across numerous channels—both online and off. This approach also gives consumers the chance to choose how they interact with a business, resulting in a higher rate of completed conversions. In fact, during a research study commissioned by Google, consumers were asked to look at content on a TV set, computer, smartphone and a tablet. Of the group that viewed content through only one channel, just 50 percent recalled the brand being advertised. However, of the group that viewed content via all four channels, 74 percent were able to remember the brand name. Additionally, according to asurvey administered by myBuys, 72 percent of consumers preferred multichannel marketing, yet only 39 percent reported receiving it. Not only is multichannel marketing the most effective strategy for reaching consumers, it’s what the consumer wants. How do you spend the majority of your work week? If you’re anything like the average office worker who spends 28 hours a week writing emails and searching for internal documents, your team could benefit from online collaboration tools. These types of systems, like multichannel marketing software, make workflows and collaboration processes more efficient.